A blog for us to share thoughts about the market and MMORPGs. A recent discussion on Reddit asked "Where do you find the cheapest RS Gold?". A few people listed RSGoldFund as the best OS RS Gold Site by price. That's because we have a Price Beating tool on our website, and we strive to be the best place to buy RS Gold. Why are the prices so cheap here? 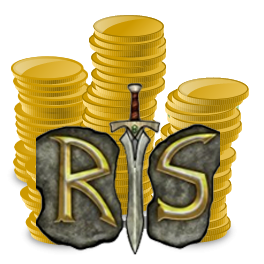 We are excited to announce our support for RSPS Gold for all your favorite Runescape Private Servers. We have listened to your requests, and we have found new suppliers for the most popular servers. These include Soulplay, SpawnPK (SPK), Dawntained (DT), Roat PKZ, Dreamscape, Elkoy, and more. If we don't have the server listed that you want, just let us know on chat. Our prices are listed on our RSPS Page. Buying runescape gold can be difficult for users, many customers have been scammed and sometimes have difficulty finding legitimate websites where they are able to buy runescape gold. Back in the old days thousands of users used to have a hard time finding legitimate runescape gold sites. Now in 2018 things are different. You are able to buy runescape gold on almost any website with g2apay legitimately. G2Apay requires company's to be legal company's which has helped cut down on the amount of fake websites in the industry. When you realize how overpriced all of the other websites are, you'll feel a sigh of relief knowing you are getting the best price possible for OSRS Gold at rsgoldfund. Everyone knows actions speak louder than words, so when we claim we have the cheapest price, we mean it. If you find someone selling RS gold for cheaper than us, let us know and we'll do our best to beat their OSRS GOLD price! At RS GoldFund we strive to provide you, the player, with access to a reliable source of cheap Runescape gold to save you money. Since 2104, we have processed thousands of OSRS gp transactions and have been able to maintain the lowest prices on Runescape gold available online. We know that you want to spend your time playing, not grinding, and we are here to help you buy OSRS gold quickly, easily, and safely. RUNELOCUS is a RSPS toplist where RSPS players go to browse the best RSPS that are currently out. RUNELOCUS is a fun safe secure RSPS VOTING TOPLIST which allows RSPS players to be able to find the RSPS that they wish to play. RUNELOCUS is owned by ikikiki and cart both of who have a long history in the RSPS COMMUNITY. RUNELOCUS TOPLIST has been around since 2008 and will likely be around until the RSPS world dies off. RSPS are a offshoot of the game 2007 RUNESCAPE and RUNESCAPE 3. RUNELOCUS TOPLIST is the highest traffic RSPS TOPLIST that is still around today. Here at rsgoldfund.com you can buy 2007 runescape gold, sell 2007 runescape gold, swap 2007 runescape gold, and more. Rsgoldfund.com is the number 1 place to buy 2007 runescape gold in the market. We offer the cheapest runescape gold at the most affordable prices. you are able to buy 2007 runescape gold via g2a which does not allow chargebacks when you buy 2007 runescape gold, so make sure to do so. The more 2007 runescape gold, you buy the more 2007 runescape gold you will receive as a bonus. Make sure to buy 2007 runescape gold today! This week's update brings a bunch of quality of life updates to make your day-to-day adventures a bit easier, as well as all the preparations needed for the upcoming Deadman Invitational! The NPC Contact spell found on the Lunar Spellbook will now remember which NPC you most recently contacted, allowing you to contact them quick via a right-click option. runescape private servers are popular versions of runescape that are ran privately, there are many different types of rsps, ranging from 317 to 474 to 614 to 718 and further on. The most popular runescape private server is the 317 version, popular rsps by name are osscape,os-scape, rspspk,ikov, runelive, simplicity, alotic, near reality and more. You can find runescape private servers on the rsps toplists or runescape private server toplists which allow you to search for your favorite rsps. runescape real world trading is a popular thing to do, infact buying and selling runescape gold is one of the reasons this site exists in the first place. Real world trading has been around since the start of runescape and has been very profitable over the years, many real world traders have expanded into new markets which help generate them income. 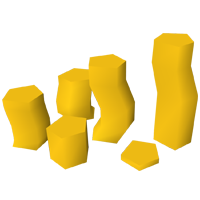 Most runescape gold sites tend to buy 2007 gold, sell rs2007 gold, sell rs3 gold, buy rs3 gold, and swap rs3 to 07 gold and swap 07 gold to rs3. Runescape 2007 is a game developed by jagex which allows players to play online a fantastic 2007 based MMORPG otherwise known as "2007 runescape" which is a fun interactive MMORPG. Back in 2011 Jagex held a poll asking if players would like to see 2007 runescape return to the world which they voted for. 2 years later jagex reintroduced 2007 runescape back into the world which turned out to be vastly popular, to this day 2007 runescape is operating, a popular pastime of 2007 runescape is buying runescape 2007 gold, selling runescape 2007 gold and swapping 2007 runescape gold. Buy runescape gp at rsgoldfund.com, sell rsgp, sell runescape gp, sell runescape gold, buy runescape gold and much more here at rsgoldfund.com, also make sure to buy rsgp, sell rsgp, swap rsgp, swap runescape gold, swap sdmm gold, swap dmm gold and much more! Why is RuneScape 2007 gold more expensive then Rs 3 gold? Understanding why Runescape 2007 gold is more expensive then RuneScape 3 gold isn’t difficult. First you must know that each game was created at an entirely different point in time. Secondly the player amounts vary greatly. RuneScape 2007 gold is the same as runescape 3 gold. sell runescape gold, buy runescape gold, swap runescape gold, trade runescape gold, and much more. We offer the best prices out of anywhere. We will pay the best prices when u sell runescape gold to us or buy rsgold from us. We love trading runescape gold, swapping rsgp, selling rsgp, and buying rsgp. we also rent 2007 runescape max mains, sell runescape bonds, sell runescape accounts, swap rsgp, sell rsgp, buy rsgp, buy runescape gold, sell runescape gold & much more! Here at rsgoldfund.com you can sell runescape gold, buy runescape gold, swap runescape gold, trade runescape gold, and much more. We offer the best prices out of anywhere including but not limited to, divicasales,boglagold,r2pleasent,partypeteshop, and many others. We will pay the best prices when u sell runescape gold to us or buy rsgold from us. We love trading runescape gold, swapping rsgp, selling rsgp, and buying rsgp. Sythe.org is a fantastic website to buy runescape gold, sell runescape gold, swap runescape gold, Buy & sell runescape accounts, Buy & sell Rsps gold, Pokémon go accounts, LoL services and so much more, Sythe is a amazing online gaming forum which allows u to purchase, sell, or swap any MMORPG's currency including but not limited to: Golds, Accounts, Leveling, and much more. You can find great discounts on many MMORPG's games on sythe.org vs buying the golds through the game itself. What are you waiting for? Visit Sythe.org today! Here at buy rs2007 gold your able to buy rs2007 gold and sell rs2007 gold for the best prices available. We can buy runescape gold for paypal,skrill,btc and much more, we can sell runescape gold for paypal,skrill,btc,WU, and other crypto currencys aswell as paypal my cash and others. We also offer swapping runescape gold including swap rs3 gold, swap rs07 gold, swap sdmm gold, and swap deadman gold. Here at rsgoldfund.com we can buy runescape gold, sell runescape gold, and swap runescape gold! 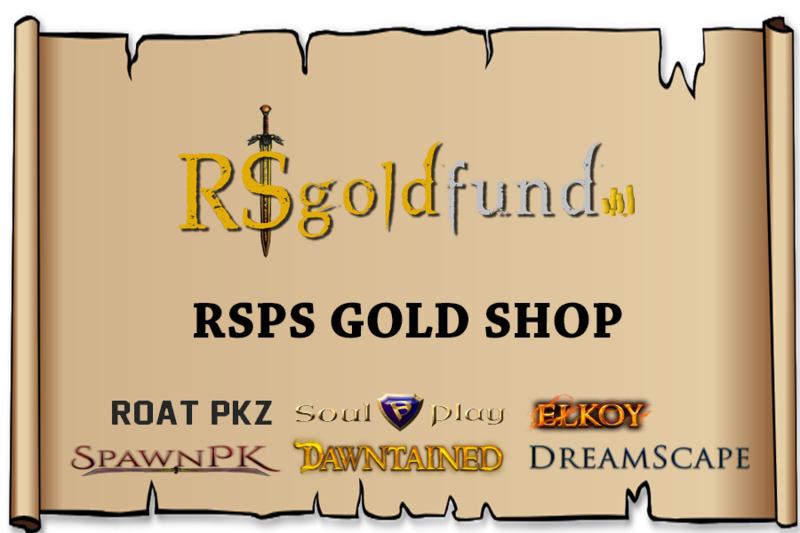 To get the best rates when swapping Runescape gold, be sure to visit RS Gold Fund. We have processed thousands of transactions for OSRS gold, RS3, & RS Deadman since 2014, and have never once had an account banned as a result of our services. Transfer between OSRS gold, RS3 gold, & seasonal Deadman gold in minutes with the help of our experienced support staff. We pride ourselves on our flawless track record for reliability, and are here to help with all your RS gold swapping needs. If you are looking to sell Runescape Gold, you have come to the right place! Here at Rsgoldfund.com, players regularly sell Runescape 3 Gold, Seasonal Deadman Gold and Runescape 2007 Gold to our 24/7 livechat support. Runescape money has real life vaule. Rsgoldfund.com is able to buy your Runescape Gold in exchange for paypal, skrill,and bitcoins We buy many versions of runescape gold – Runescape 2007 gold, Runescape 3 gold, and Deadman seasonal gold. No matter how much runescape gold you want to buy or sell, we can buy it! We have had runescape gold sellers that have approached us with over 10b Runescape 3 gold, and 10b 07 runescape gold. There is no amount of old school gold, or Runescape 3 gold that we cannot purchase.